Sri Nanasaheb Chandorkar got into a fix in certain family matters. His father Govind Rao Chandorkar was also a Deputy Collector like his son and stayed in a house built by himself at Kalyan. Lately some unpleasantness had grown between him and the local musalmans and so he had ordered all the members of his family to desist from having any connection whatsoever with musalmans in general. When Nanasaheb happened to return home, he was informed of what had happened and his father's stand­ing order about having no musalman connections. Nana was puzzled. He was prepared to give up all connecti­ons with Musalmans, but he was not prepared to dis­associate himself from Baba. If his father took Baba to be a Musalman naturally he would expect Nana to give up Sai Baba. This embarrassed Nana So he spoke to his father about his connection with Sai Baba. In the meanwhile Baba had already given proper turn to his father's mind in the matter. So at once he said to Nana "My Guru is Sakharam Maharaj" but your Guru is not Sakharam Maharaj. 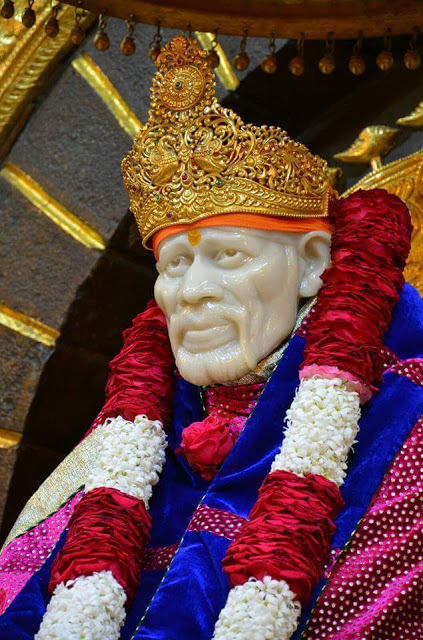 So even if Shri Sai Baba may really be a Mohammadian. He is your Guru and you may most willingly continue to Him without the least objec­tion from me". On hearing this Nana Saheb was over­joyed and heartily thanked Baba for the happy solution of the puzzle he had to face.